My three month sabbatical was drawing to a close, but I had time for one last mountain binge. 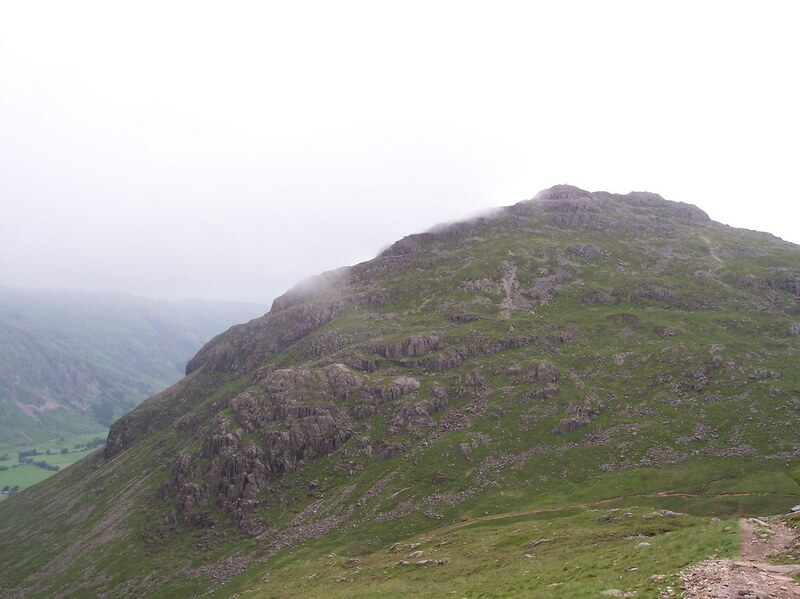 Having failed to achieve a family camp in Langdale during half term due to awful weather, it seemed natural a few weeks later to head to Langdale solo and see what I could do by myself. 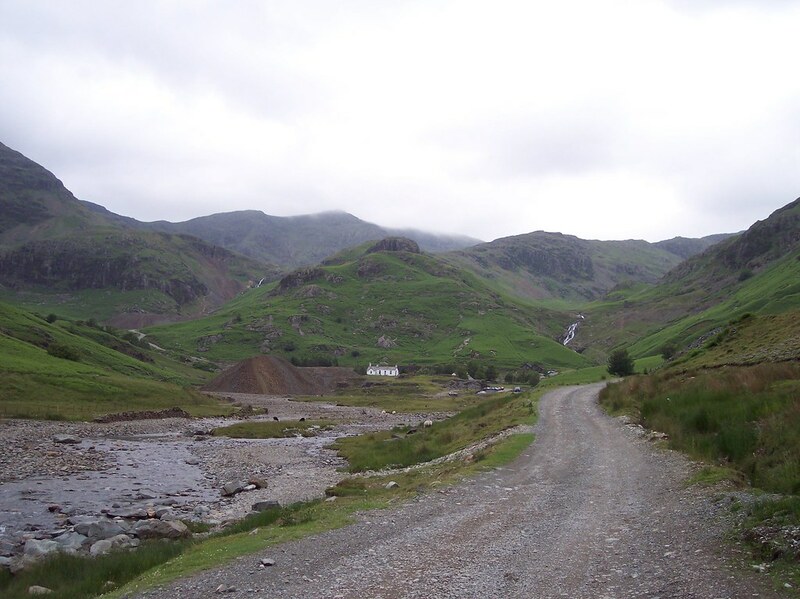 The bus dropped me at the New Dungeon Ghyll and the entrance to the National trust campsite. 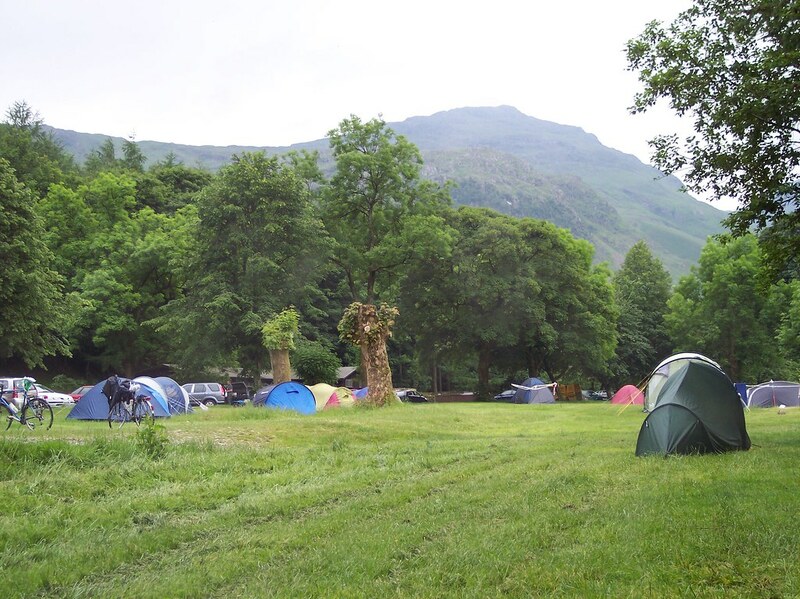 In I went, booked in and pitched up on the “Saddo Strip” – a thin ribbon of grass next to the path for solo tents. A dinner of pasta was cooked on the Trangia as I took in the atmosphere and the evening cloud swirling around the Langdale Pikes. All too soon it was off to bed. The first night in a tent is never a brilliant sleep experience, and particularly so on a campsite with people returning late from the pub. And as light felt its way among the tents, another sound roused me from my shallow slumber. Seven AM and a lot of loud conversation hit me from just the other side of the path. Somebody had “wet the tent”. On the inside. I ate my breakfast as the miscreant was bawled out, and knowing that whether I wanted it or not I had an early start on my hands, packed my rucksack and set off. 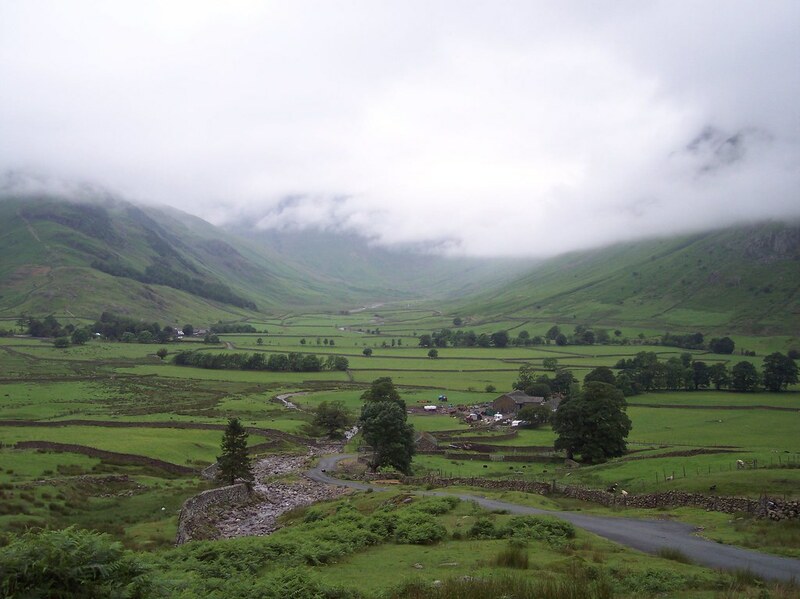 I climbed up the road to Little Langdale, but the next valley wasn’t my objective, and I turned off the tarmac to climb up the fellside alongside Redacre Gill. Height was gained at a steady pace and then I found myself confronted with a bit of a wall of rock. Hands were needed to heave myself over the obstacle before I could continue on my way. 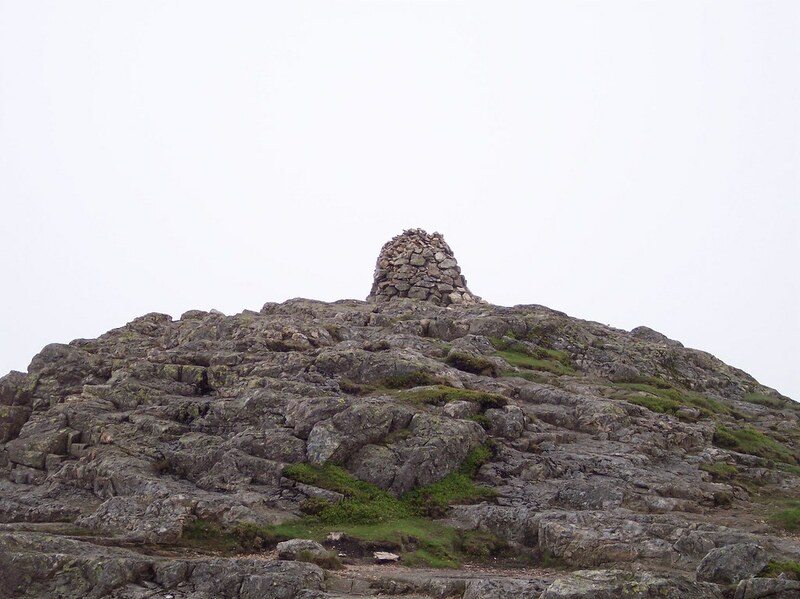 Some more steady climbing and the summtit cairn came into view. half past 9 and the first summit was under my belt. Better still there was no one around. 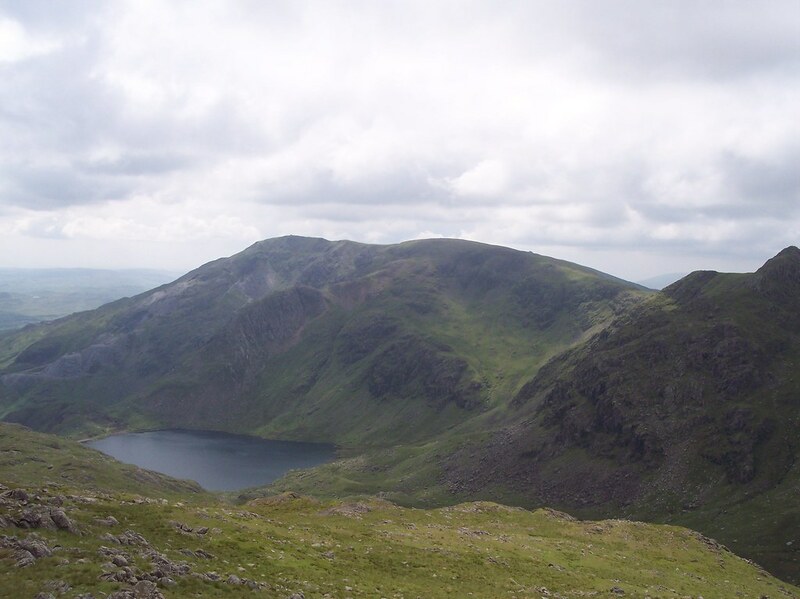 Down to Red Tarn next and then the climb up onto Cold Pike. With such an early start, there was no need to hurry today and my pace slackened as I took in these new surroundings. Eventually I gained the top of Cold Pike and turned west to seek out the West Top, trying to determine which of the many outcrops it was. I went the more obvious-looking bigger outcrops in the hope I’d got the right one. Then it was a repeat of the exercise to find the Far West Top. This I felt more confident about, and as it was now nearing lunchtime, I called an early stop and ate my lunch looking across to Little Stand and down Gaitscale Gill. Lunch done, I forged my way across the soft terrain to try to cut the corner off on my way around to Little Stand. 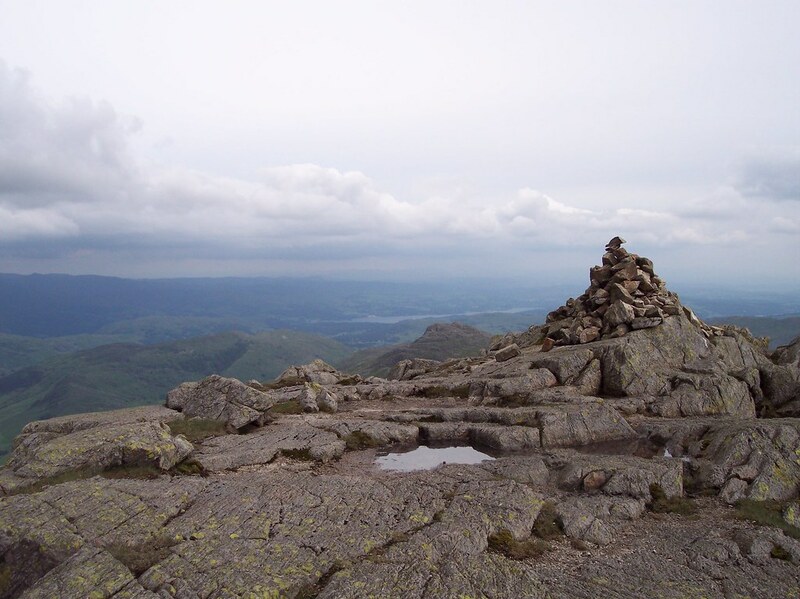 Somewhere here my mojo deserted me and I found myself flagging as I climbed up onto Stonesty Pike. So much so that I abandoned the walk out to Little Stand completely. The fitful sleep, early start and post-lunch energy dip had done for me. I didn’t bother with Great Knott either, leaving me two Nuttalls for the future. 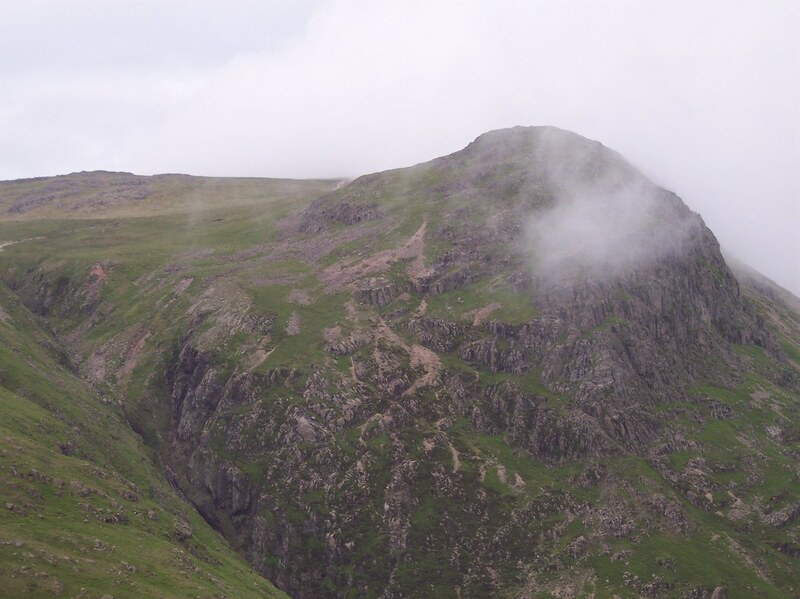 Ahead of me were the Crinkles, seen before only as battlements at the head of Langdale, and now about to he experienced up close. 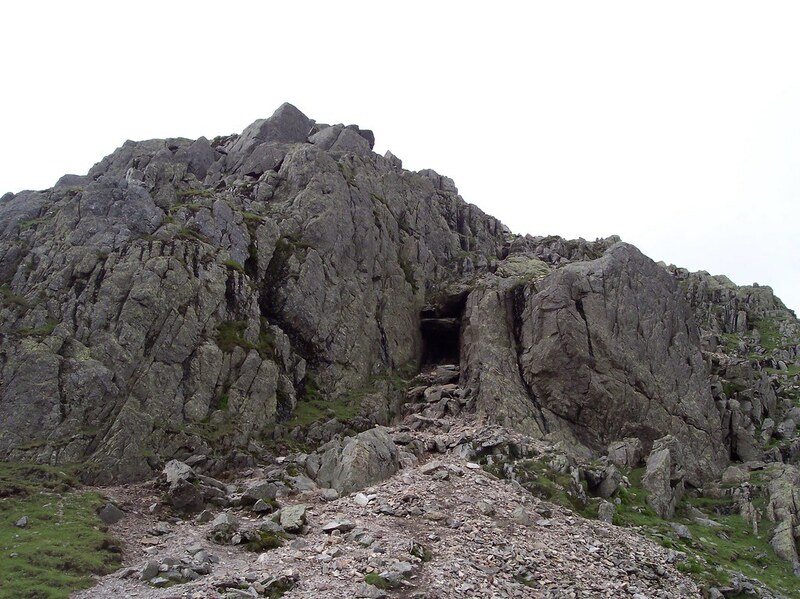 In my weakened state the intrepid route up the Bad Step wasn’t appealing, so I took the diversion around the base of the Crinkle and took it from behind. The official top was bagged, but I carried on, albeit at a slow pace, over the remaining outcrops. 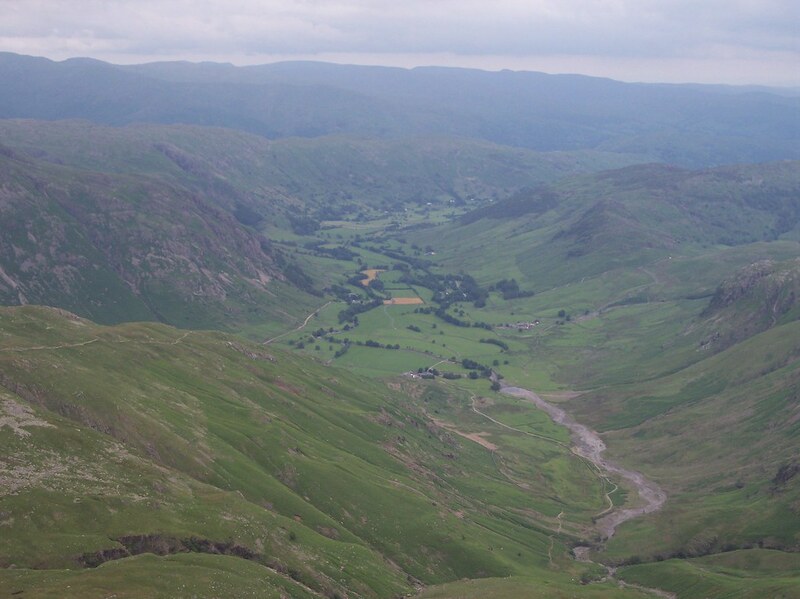 Views back down to Langdale and towards Eskdale and Windermere helped re-establish some vigour. But not by much. 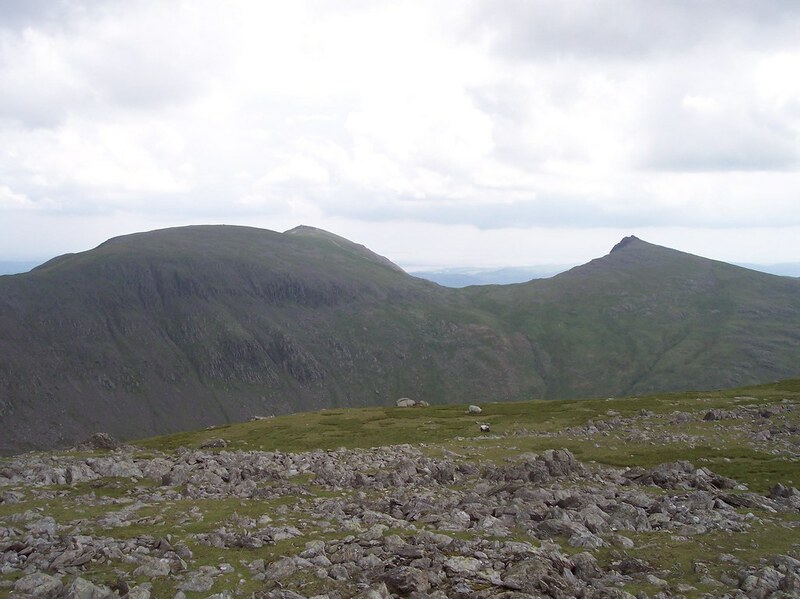 I came down off Shelter Crags to Three Tarns and looked up at Bowfell ahead of me. It seemed just a little bit more work than I was prepared to do. So I spent a few minutes looking around at Three Tarns instead. Decision made, I turned to head down The Band. Ironically, it was now that energy seemed to return to me, and I found myself running stretches of the path. Even in my big clumpy leather boots. I reached the bottom and headed for the tent. A lazy late afternoon and a quick trip to the ODG for dinner sorted me out. Another not very successful night’s sleep, and not wanting to pick up where I left off yesterday, saw me make the decision to shift base. Fitness being lacking I wasn’t really up for another big day. A lighter day was in order. 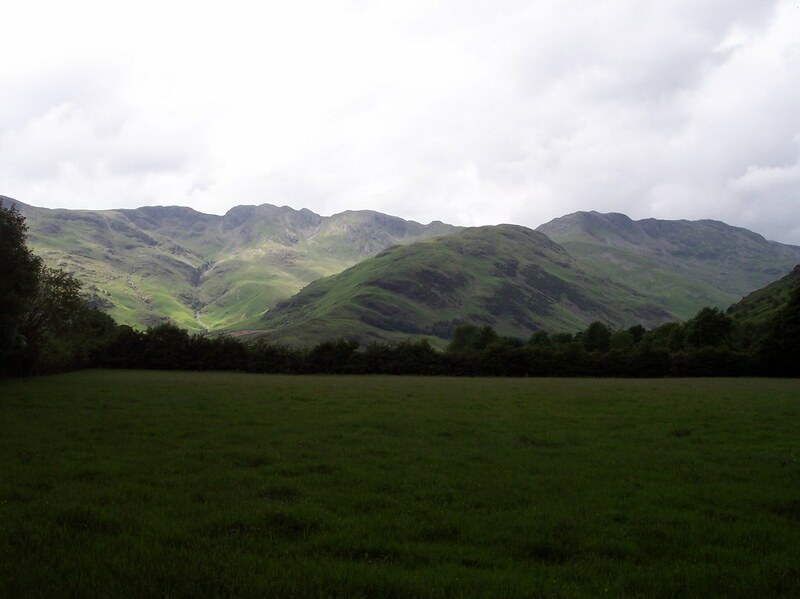 First up was a bus journey to Ambleside, where I dropped off my case and then headed to Grasmere for a look around. 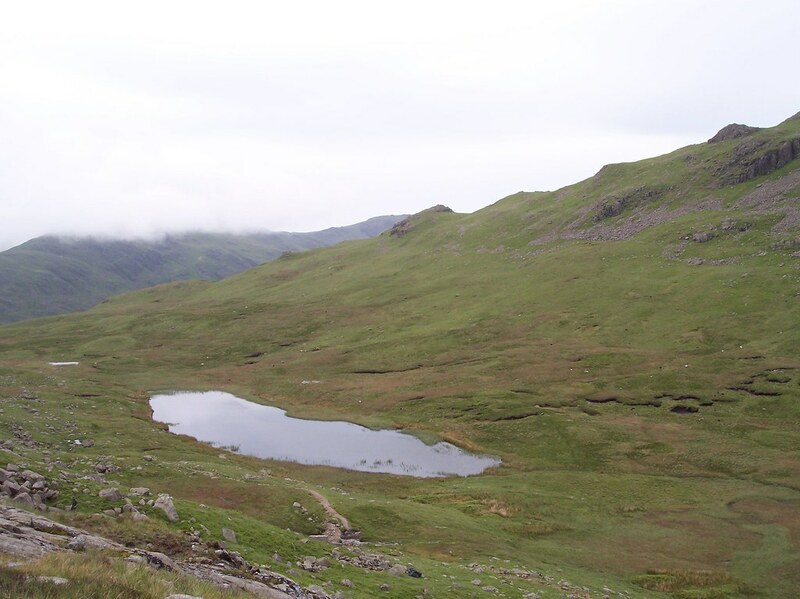 A walk out of the village saw me heading up to Alcock Tarn, a target deemed not too much climbing and not too long a walk, and a better option than spending my time in gear shops. I spent an hour sat by the tarn enjoying the distant view up into Langdale. Rumbles of thunder stirred me into action and I made my way down to Town End, slipping and sliding on wet leaves as the sky made angry noises overhead. The rain came in and I settled for the gear shops option anyway. The last day and I really needed to make up for yesterday’s lack of effort. My general under-performance during the three months weighed heavily on my mind, and somehow I came up with the idea of returning to the scene of my earlier failure in an attempt to lay some ghosts to rest. 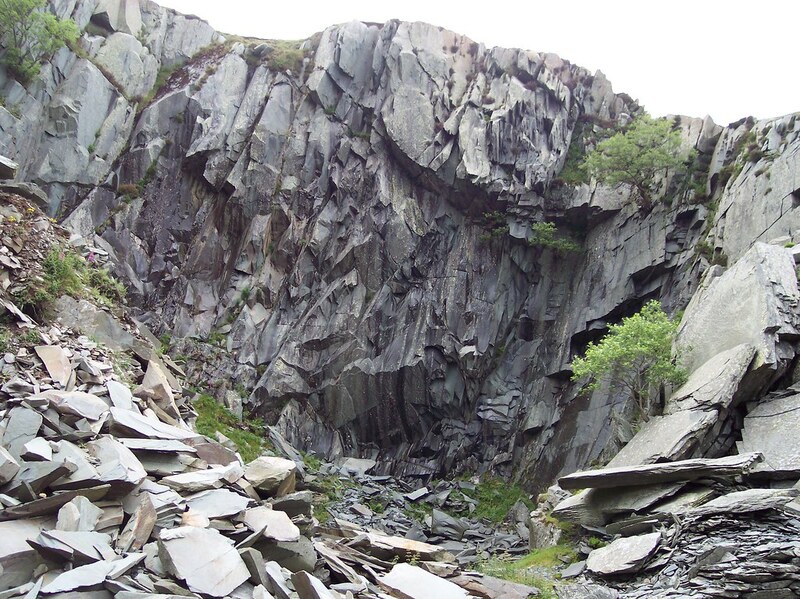 The bus whisked me out to Coniston and I headed up the path towards the Coppermines. 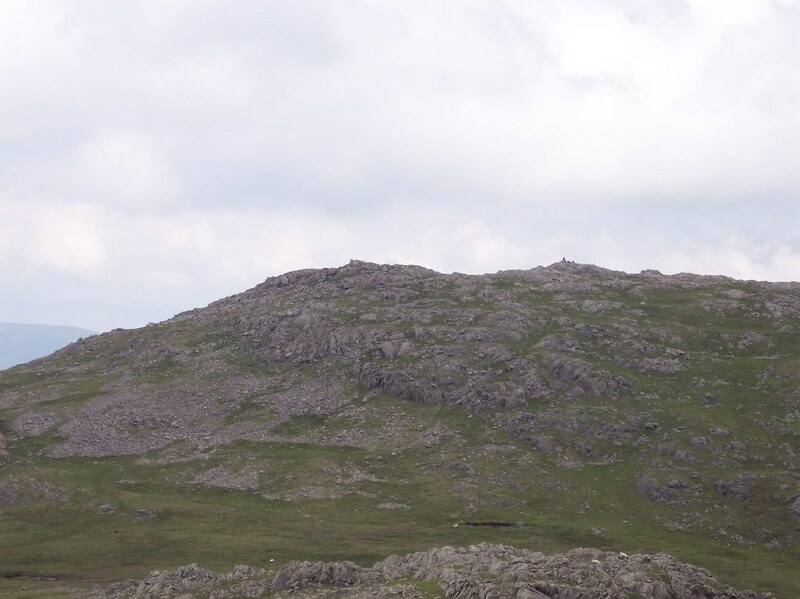 Wetherlam was my target, by Red Gill Head. Chosen purely on the basis that it was the longest path, and hence must be the gentlest. 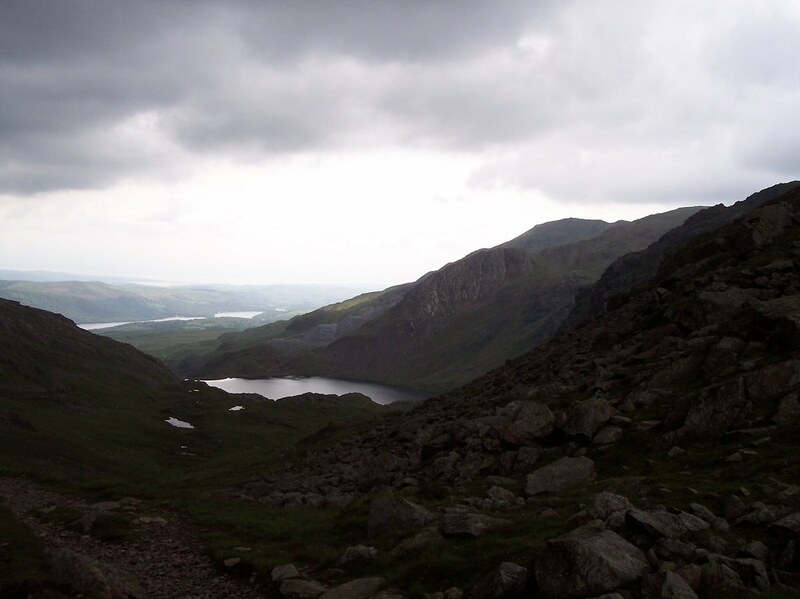 I zigzagged away from the main path that continues on to Levers Water and began the long trudge up the south ridge of the mountain. I don’t remember much about it except it was long. It was nearing lunchtime by the time I arrived at the summit. Not wanting an audience I decided to carry on a bit further and dropped down for a lonelier spot on Black Sails. Ahead of me now lay the Prison Band, a ridge leading directly to the top of Swirl How, one of the few summits I had managed to claim on that awful day back in April. I reached the top and not being as encumbered by excessively bulky and heavy backpack this time, there was plenty more left in me. 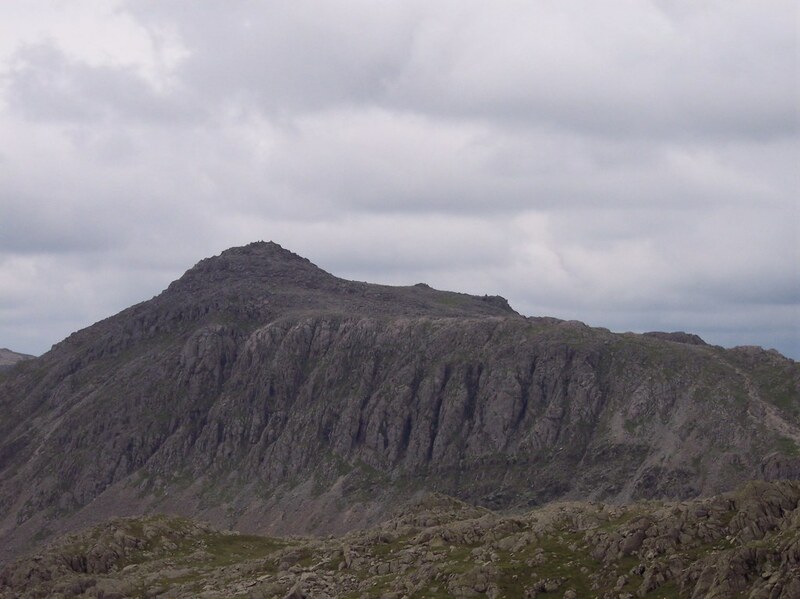 First was a pop around to Great Carrs and then across the depression to Grey Friar. 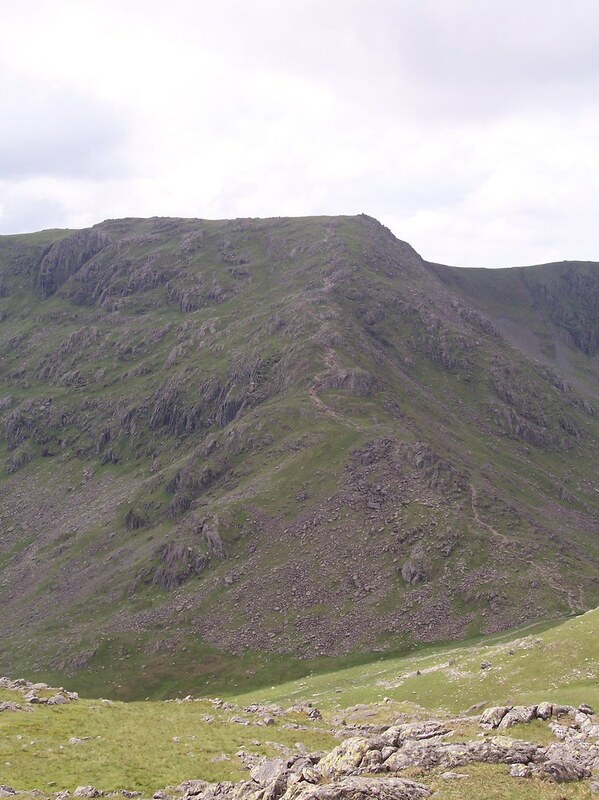 I cut the corner off a bit on my way back as I cut around to Levers Hause and then up onto Brim Fell. It was then a simple matter to stroll over to the top of the Old Man. The day was running out and I had a bus to catch, so the quick route down was called for. I dropped down the steep path to Low Water, barely paused to take in the tarn and carried on down to Coniston, just making my bus. A great week of hiking there!